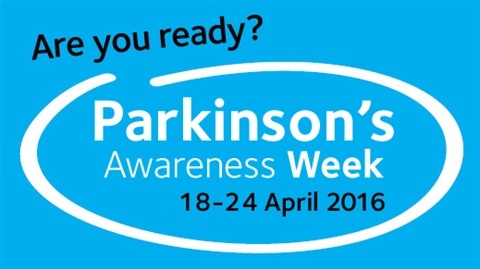 Our list highlights Parkinson's research projects in the UK that are looking for participants. Anyone with Parkinson's who is considering taking part in a research study should consult their neurologist. Although some studies involve testing new Parkinson's treatments, many focus on helping us understand the condition better. Our list is provided for information only. It should not be treated as advice or a recommendation to participate in any of the studies. If you have Parkinson's and you're considering taking part in a research study, consult your neurologist and speak to the healthcare professionals managing the study. UK research studies that need participants are listed below. This research study, led by a team at King's College London, is investigating people's knowledge and attitudes around mood problems such as depression or anxiety in Parkinson's. It also looks at what influences whether they seek help and who they ask. What: Participants will be invited to complete questionnaires in their own time and take part in an interview with the researcher. PDSAFE: can physiotherapy prevent falls? PDSAFE is a personalised physiotherapy programme which aims to help with balance and movement. The purpose of this trial is to see if PDSAFE can help people with Parkinson's to fall less often and to assess whether it is cost-effective. What: Participants will either receive PDSAFE personalised physiotherapy or remain on their usual care. All participants will have regular assessments and be asked to keep a diary of any falls they have. This study aims to develop and test the first ever pain scale specific to Parkinson's. What: Participants will be asked to complete a number of scales already in use as well as the PD pain scale with a doctor or nurse. This international study is investigating when symptoms such as sleep problems, fatigue, pain and depression occur during Parkinson's, how they develop and how they respond to treatments. What: Participants will be asked to complete questionnaires about a wide range of symptoms and their quality of life at 6 month intervals. The researchers are studying people with early onset Parkinson's to understand more about the symptoms and genetics of the condition. This project will investigate mental processing in Parkinson's. The researchers will study how people with Parkinson's choose the right thing to do at the right time compared to people without the condition. What: Participants will be asked to do a range of tasks and undergo brain scans. The Parkinson's Progression Markers Initiative (PPMI) aims to identify risk factors for Parkinson's and ultimately lead to the development of tests that can be used to accurately diagnose and monitor the condition. What: Participants will undergo a comprehensive series of assessments including brain scans; collection of blood, cerebral spinal fluid, and urine samples; as well as cognitive and motor evaluations. Who: People who are of Eastern European (Ashkenazi) Jewish descent with Parkinson's (of any age) and without Parkinson's (over the age of 50 and related to someone who has Parkinson's. The research team are interested in how people with Parkinson's respond to different objects and movements in their environment and how well they can communicate. What: Participants will be asked to watch some video clips and look at pictures while the team measures your reaction times, eye and hand movements. In this study, the research team will explore whether eye movement responses to different stimuli are affected in people with Parkinson's. What: Participants will be asked to undergo tests of their eye movement responses to different stimuli. This study aims to explore the relationship between vision and sense of smell in people with Parkinson's. What: Participants will take part in sight and smell tests and share details of their Parkinson's through questionnaires. This study aims to see if specialist care can improve the control of symptoms and provide support for people with Parkinson’s and those close to them. This study aims to understand how people with Parkinson’s learn new movements. The researchers will investigate the ability for people with Parkinson’s to remember new movements. What: The study will involve up to 3 sessions, lasting no more than 90 minutes each. Participants will be asked to perform simple tasks that involve hand, arm and eye movements during these sessions. Where: Birmingham or the West Midlands. This study aims to improve our understanding of visual hallucinations in people with Parkinson’s. This study aims to understand if a mindfulness-based course can reduce depression and anxiety. What: Participants will be asked to take part in 8 once weekly sessions of a mindfulness course. The course will be delivered via Skype video conferences. This research study aims to find out if daily health tracking via a smartphone and/or tablet can improve the quality of people’s lives. This research study, led by a team at Newcastle University, is investigating how easy it is for people with Parkinson’s to recognise different emotions. What: Participants will be asked to make several visits to the university lasting between 2-4 hours. Sessions will involve looking at a series of photographs on a computer screen.